It is expected that 2017 Chevrolet Silverado 2500HD will come with some updates. Those are word that most of reports on the internet say. While its counterpart from GMC is more luxury oriented, this model is focused primarily on the work. It is a true working machine, ready for any task. It is also the closest rival to an absolute class leader Ford F-Series. Original HD Silverado came in late 90’s and it is now in its third generation. Current model is present since 2013, and some updates are expected for 2017 Silverado 2500HD. Most of them are expected to be visual. As we already mentioned, 2017 Chevrolet Silverado 2500HD is expected to come refreshed. Many of novelties are expected, and most of them will probably come to improve trucks visual appearance. Mechanical changes are not expected at this moment. Company will put main accent to improvement of exterior design. So, what to expect for 2017 Chevrolet Silverado 2500HD? Well, base characteristics will remain unchanged. It will come available in three cab configurations – Regular Cab, Double Cab and Crew Cab models. Base shape of the truck will definitely remain the same, but we expect several tweaks. Most of the revisions will come at the front, where we expect to see revisions similar to those found on new light duty variants. So, expect tweaks on lighting, grille and similar areas. When it is about interior, bigger changes are not expected. The styling of cabin will remain pretty much the same, but we can see things like updated infotainment system and similar things. The 2017 Chevrolet Silverado 2500HD will come offered in same trim levels. Those are WT, LT, LTZ and High Country. 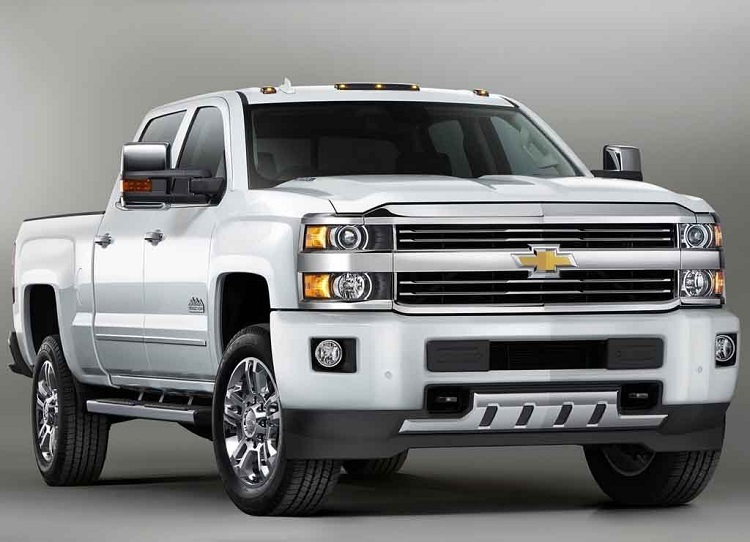 The 2017 Chevrolet Silverado 2500HD will come with the same engines in offer. Those are two V8 units, one petrol and one diesel-powered. Petrol-powered unit is 6.0 liter engine, which is good for 360 horses and 380 pound-feet of torque. Finally there is a 6.6 liter Duramax engine, which has max output of 397 horsepower and 765 pound-feet of max torque. Both engines are paired with 6-speed automatic transmission. Finally 2017 Chevrolet Silverado 2500HD is expected to come by the end of year. Price should remain the same, which means around 33.000 dollars for base model.